Being an Excel blogger, I’ve taken a number of Excel courses throughout my career. As my proficiency increased, both my need and interest to take Excel courses began to diminish over time. Therefore, when Rishabh Bhandari from Yoda Learning reached out to me to review an Excel course, I took it more from the perspective of how it could benefit others; I was somewhat skeptical about how much it could actually benefit me. After taking the Become an Excel Ninja course, I can honestly say that I was both surprised and impressed by how much I learned. 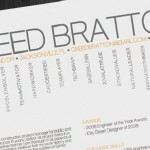 I run an Excel blog, a relatively popular one, and I have been working with the Excel platform for well over a decade. I still learned a lot of useful tips and tactics from Yoda Learning that I will incorporate into my own use of Excel. 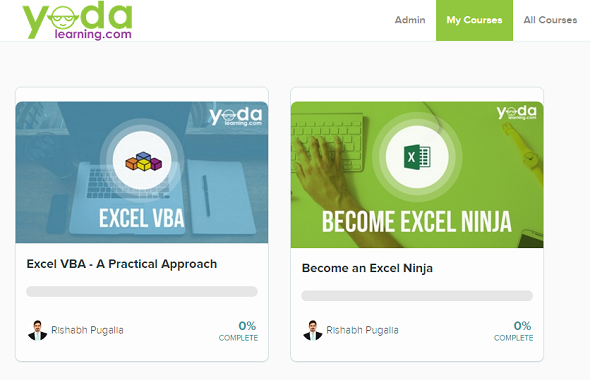 Become an Excel Ninja is an online Excel course from Yoda Learning that incorporates instructional videos, example Excel files, and periodic quizzes to reinforce your Excel learning. And as I alluded to already, the course is applicable to multiple levels of Excel experience, ranging from beginner to advanced. 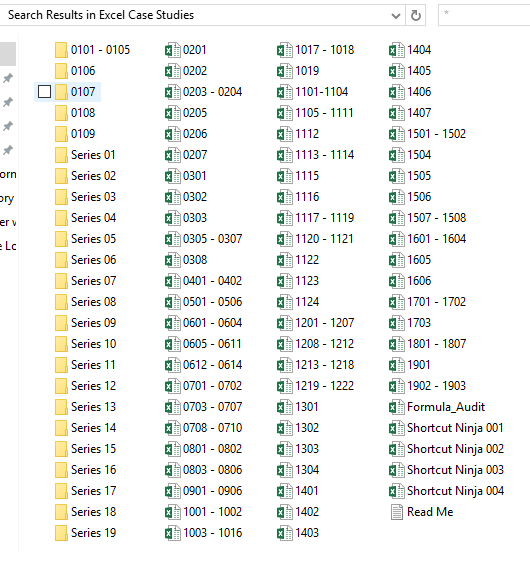 The version of Become an Excel Ninja I’ll be reviewing is the fully paid version. For those interested in trying-before-buying, Yoda Learning offers a free version of this course that you can enroll to here. 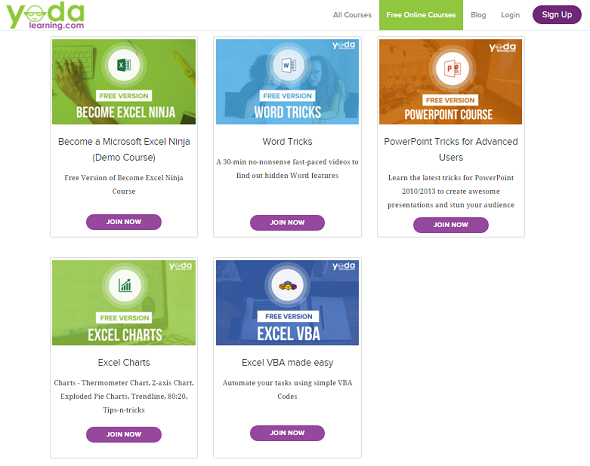 In addition to Excel, Yoda Learning also provides non-Excel training content, including VBA and PowerPoint. 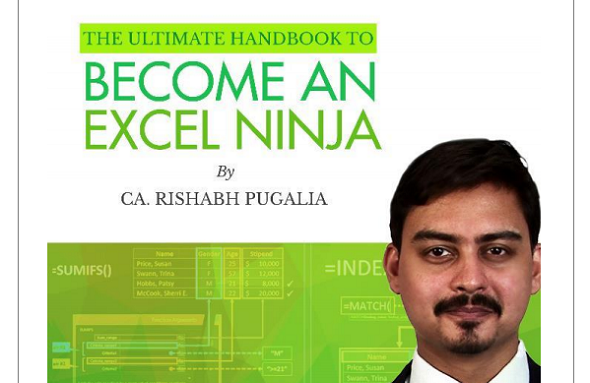 For disclosure, I was given access to Become an Excel Ninja from Rishabh to do this review. If you enroll in the course through my link, MBA Excel will receive a small affiliate commission. 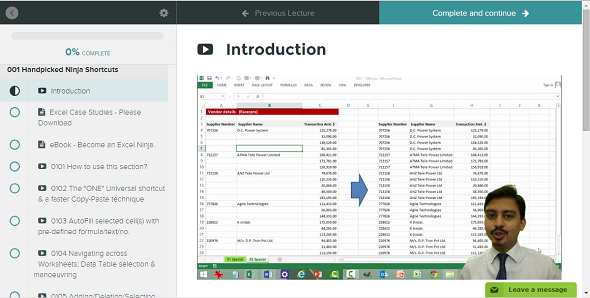 The Become an Excel Ninja Course is a fully featured Excel learning experience. Once you sign up for the course, you get access to all of the videos, access to all of the Excel case files, and a downloadable PDF guide. When you log into Yoda Learning, and click on “My Courses”, you’ll see a summary of all courses you’re enrolled in on their platform, with an indicator showing how much of the course you’ve completed. The training process has a very simple and easy to use interface. On the left is a list of all videos related to your course. You click on the link to watch each video, and you can review them in an order you like – you can skip around to focus on the topics you are really interested in, as there is no requirement to complete any particular video before the other. Each video is linked to by a serial number to the Excel file you should be referencing while reviewing it. 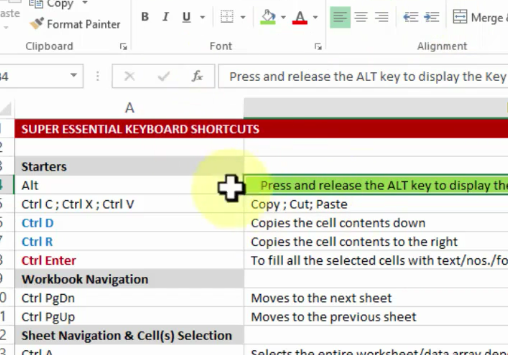 Very easy to pause the video, and open the exact Excel file that Rishabh is working on to reinforce your learning. The video instructor, Rishabh Pugalia (same first name, but different than the first Rishabh), is not only an Excel expert, but also an expert Excel trainer. This is because Rishabh has worked in corporate training roles for various Fortune 500 companies and as a result, has experience training thousands of people in Excel. For any Excel instructor, how much you know is not as important as how well you teach, and Rishabh’s training expertise clearly comes through in these videos. One thing I really enjoyed about Rishabh’s teaching style was the quality of context provided. Yes, there is definitely a lot of Excel content to digest in this course. But Rishabh always provides good context about how important a feature is, when to use it, and how to use it most effectively. Yoda Learning has a 30-day money back guarantee for all of their courses. To me, this is a dealbreaker for any Excel course offering that you might consider taking. If the creator is confident in their content, they should be able to guarantee satisfaction or give you your money back. Lastly, Yoda Learning offers a completion certificate for each the courses you take and the ability to add it to your LinkedIn profile. I personally think it’s great to have this option, since so many Excel users (myself even) are “unofficially” trained. As you can see, the topic range is fairly broad. The course content starts off light, with shortcuts, formatting, and simple formulas, but then gets into some pretty advanced Excel topics as well, such as lookups, Pivot Table, and what-if analysis. 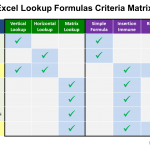 While Become an Excel Ninja covers a lot of different subjects related to Excel, there’s definitely a significant amount of depth for each. With 11 hours of total content (videos and exercises), I never felt like any of these were glossed over. 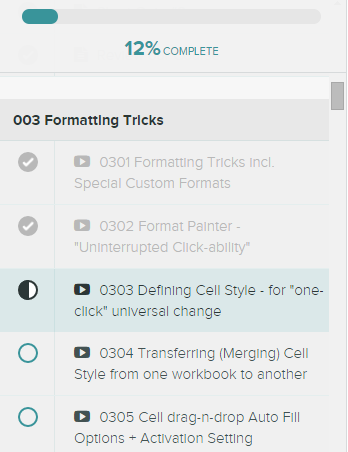 The first thing that stood out to me when I started taking Yoda Learning’s Become an Excel Ninja course was the amount of content I was being given. This one course provides you 6 hours of video instruction, a ton of Excel exercise files to work through, and a PDF learning guide. (Click here for a full listing of the instructional videos) The Excel files themselves are full of real world examples that make each training video relevant. I’ve taken a number of Excel courses that provide you video instruction, but skimp out on the actual Excel practice content. With Yoda Learning, they clearly emphasize the use of exercises to reinforce learning. The videos provided by Yoda Learning are all of very high quality, and were clearly completed by a professional video editing team. As you can tell in the screenshots, the videos include an “in-picture” view of your instructor, Rishabh, in the lower right hand corner of the video while he is delivering the lecture. Useful without being distracting and provides the course more of a classroom feel. The videos themselves have very useful on screen indicators, including cursor highlighting and keystroke pop-ups, that appear every time he mentions a formula or shortcut. All instructional videos are also closed captioned. Those who are learning English as a second language, who may have difficulty with different accents, will obviously find this useful. I love the structure and progress tracking in this course. After reviewing a video, I can click a “Complete and Continue” button to mark it as complete and add it to my “% Complete” tracking, shown below. If I’m still rough on a particular topic, and may want to revisit it later, I can just leave it as unchecked so I will know to come back to it. Additionally at the end of most sections, there is a quiz to review the learnings from the subjects covered. This type of progress tracking definitely makes the learning experience more enjoyable. How much benefit you get from an Excel course is going to vary depending on how much Excel proficiency you come in with. While the Become an Excel Ninja course is definitely applicable to all different levels, your approach will probably vary based on your existing experience. I consider myself an advanced user, and as I’ve mentioned previously, I was able to learn quite a few new things about Excel while taking this course. Yes, several of the topics covered I was already familiar with. (this is what happens when you run an Excel blog) But even for those situations, Yoda Learning would usually offer a new perspective, tip, or trick to contribute to my learning. For advanced users, I’d recommend jumping right into any topic that interests you the most. Intermediate Excel Users – those who have some familiarity with the platform, but have yet to really hone their skills in the course topics mentioned above. Intermediate Excel users will clearly get the most benefit overall from taking this course. If you are already somewhat familiar with Excel, this is the perfect course to reinforce what you already know and dive deeper into some of the more important topics of Excel. I’d recommend going through the videos step by step as prescribed by Yoda Learning. Excel Beginners – people who have very little to no experience with the platform and don’t use it on a regular basis. My suggestion for absolute Excel beginners would be to go through the course content slowly. 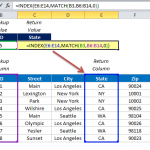 If you’ve never really used Excel before, simple things that Excel experts take for granted (writing formulas, navigating, spreadsheet terminology) will be foreign to you and may be difficult to grasp initially. 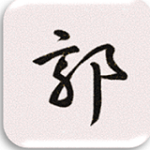 Therefore, you should take frequent breaks to repeat the examples provided. My experience with Yoda Learning’s course has been very positive. However, there are still some features I would want them to eventually improve. The first gripe is just being able to see the time required for each video in the main interface before I have to click on it. Overall, Yoda Learning’s tracking and progress features have been very strong. Also, this isn’t a huge issue, as once you start the videos, you can see exactly how long it will take based on the video’s progress bar. However, it’s helpful to have this information beforehand for planning purposes. For example, if I know I only have 20 minutes to spare, I’d want to find videos I can fit in that window to make use of my time. A “custom” learning plan if you will. Another feature I would want to expand upon are the quiz sections provided after each section. Currently the quizzes are fairly short, and not all sections have them. What I’d really like is a robust quiz system that will track which questions I got wrong and direct me straight to the video or the exercise I need to review to reinforce the learning from that topic. This was something that was really helpful to me when I was studying for the GMAT with Manhattan GMAT – every question I got wrong was directly linked to a topic, and I knew exactly what I needed to brush up on. Anyway, both of these are minor gripes in what I consider an tremendous Excel learning product. I’ve mentioned both of these concerns to Rishabh and he has said they will definitely consider these updates as they actively update their course content. The people at Yoda Learning are clearly experts, not only at Excel, but at training others to learn Excel. They’ve developed a content-rich course, filled with polished learning videos and detailed Excel exercises. There’s enough subject matter here that, regardless of your experience level, you’re bound to benefit from going through the course. Therefore, the Become an Excel Ninja course gets my recommendation as an effective learning tool. To sign up for the course, click here to be redirected to the Yoda Learning website. As noted before, there is a 30-day money back guarantee if you try the course and end up not liking it. If you are still not sure about whether or not Yoda Learning is right for you, I’d recommend signing up for one of their free courses. There’s even a free version of Become an Excel Ninja. Doing so will give you a sense of the topics covered and the teaching style they employ.